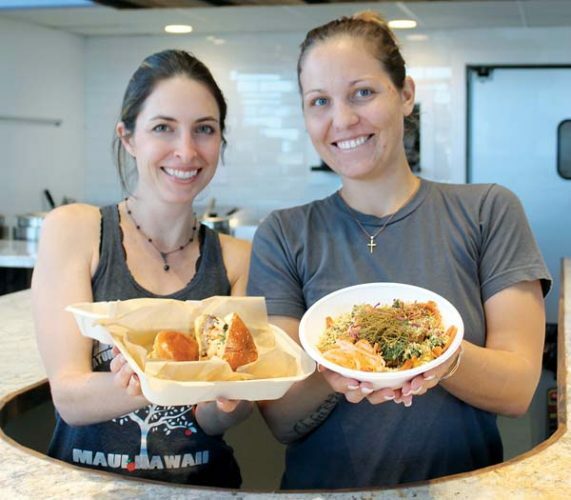 The two-time “Top Chef” veteran will demonstrate a Maui dish at a reception with food by Pokeworks and beer by Brooklyn Brewery on Aug. 17 in the museum at 62 Bayard St., Brooklyn. 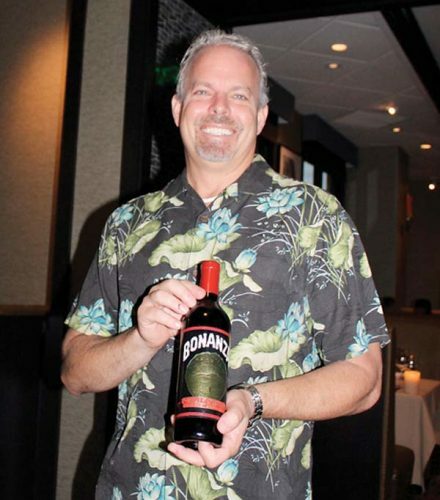 Simeon was one of the celebrity chefs at Grand Wailea’s Fire it Up! event Saturday (OMG everybody is still raving about it!) and among guest pitmasters to engage in a “speed-dating-format, question-and-answer session.” The story will run in Sunday’s Pau Hana section and Simeon divulges new info about his upcoming Calabash restaurant that he’ll open in Wailea. Talk about six degrees of separation — only Kevin Bacon isn’t involved. There’s a new chef at Star Noodle, where Simeon cooked back in the day. She is Abbey Ferrer, a native of Queens, NY, who taught at Le Cordon Bleu College of Culinary Arts and cooked at Morimoto Maui at Andaz Maui and in Miami — and other top restaurants. Simeon also wowed at the former Mala and MiGrant in Wailea. The space has now become Humble Market Kitchin by Roy Yamaguchi and it launches its first happy hour Friday, running from 5 to 6:30 p.m. daily with $6 draft beers, $7 well drinks, $8 wines by the glass and $10 appetizers such as crispy calamari, steamed dumplings, Szechuan baby-back ribs, and crisp Brussels sprouts and cauliflower. 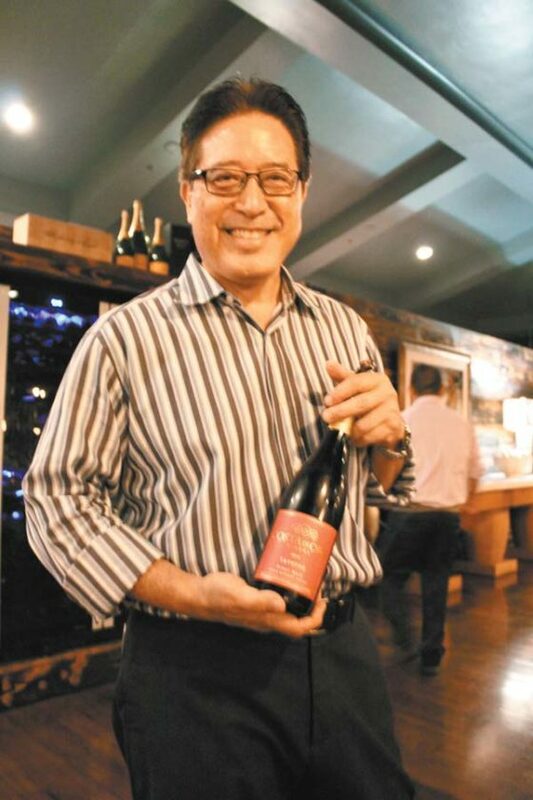 The last six degrees of separation is that Simeon will appear at ‘Aha Aina at the Ala Kukui Retreat in Hana on Saturday with chefs Isaac Bancaco of Andaz Maui, Mark Pomaski of Hilo’s Moon & Turtle, Bella Tolland of Travaasa Hana and the famous Lind and Akoi Hana farm families. For dinner tickets, call 248-7841. 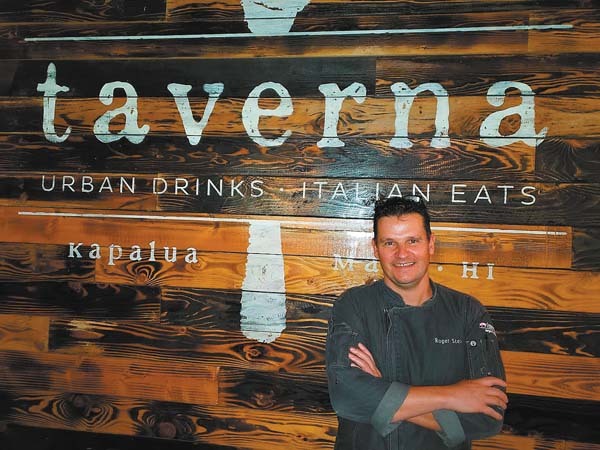 Taverna on Office Road in Kapalua will debut its new summer menu this week. I was lucky enough to sample a couple of the new dishes during the Kapalua Wine & Food Festival, and I say, order the short rib, slow-braised in chianti with a super creamy potato-parsnip puree, Hamakua mushrooms and fried Brussels sprouts. We also savored “chicken porchetta” and it was out of this world. “It’s stuffed with Italian sausage, fennel, sage and garlic all wrapped in bacon with roasted fingerling potatoes,” says managing partner Chris Kaiwi. Oh-la-la. 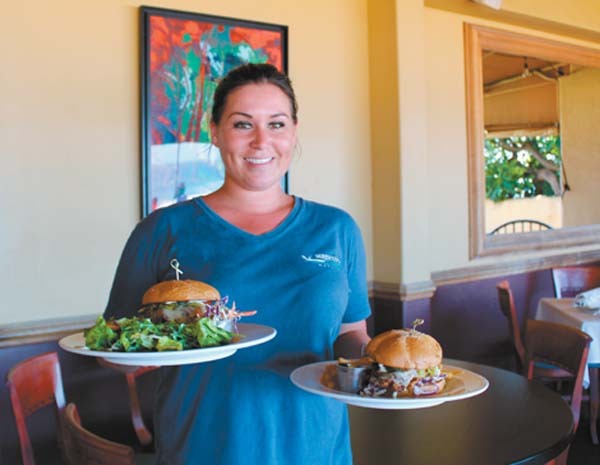 Cafe del Vino in the Maalaea Harbor Shops will kick up its heels Friday with a three-course Bastille Day menu and Edith Piaf-style music by French singer Lydia Panzik. But seats are going fast. If you miss it, owner Guido Hauwaerts is doing a seafood feast Tuesdays. 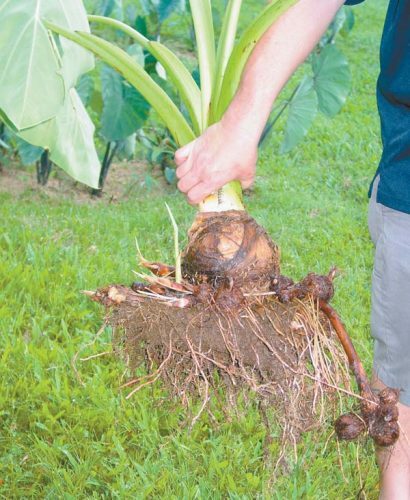 Mark your calendars for Saturday, July 22 when Maui’s 10th annual Seed-to-Cup Coffee Festival will be brewing interest from 9 a.m. to 3 p.m. at the Maui Tropical Plantation in Waikapu. 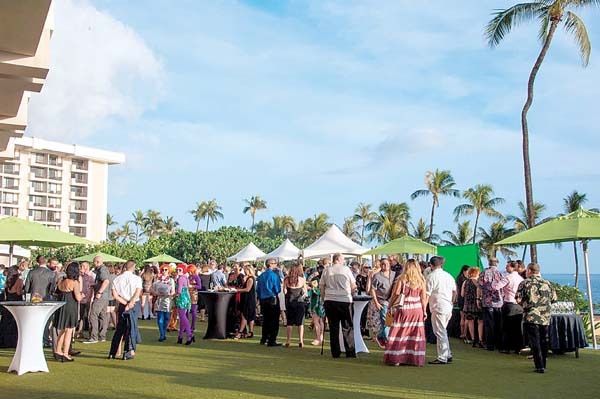 Watch roasting and brewing demos, a coffee-inspired fashion show, sip a cuppa or two and coffee beer by Kohola Brewery of Lahaina, enter the new Barista Throwdown and eat coffee-inspired foods by Executive Chef Jeff Scheer of MTP. There will be a full day of music (see the lineup in Maui Beat on Page 4) and you may buy coffee-related products and meet farmers and roasters, too, explains David Gridley of Maui Oma Coffee Roasting Co. and event spokesperson. “Seed-to-Cup will be held in conjunction with the Hawaii Coffee Association’s 22nd annual Conference and its ninth statewide Cupping Competition running Wednesday through July 22 — also at Maui Tropical Plantation. * Got restaurant / dining-event scoop?